We are a skin care supplier that sells natural and organic professional skin treatments and spa products. Aesthetic Back Bar is a place you can find quality aesthetic back bar supplies in larger sizes at low prices. We pride ourselves in carrying the best ingredients for skin care treatments. We want to be the go to place for estheticians questions about professional treatments and information about how to manage a spa. Aesthetic Back Bar can also be private labeled to create your name skin care. We can help you from start to finish on how to start your own skin care line. 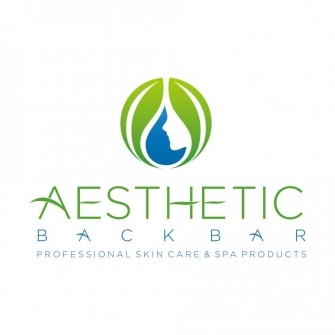 Aesthetic Back Bar has been created by Aestheticians that have worked in a clinical skin treatments and spa setting. Our products have been formulated to form a group of wholesale aesthetic back bar products that are efficacious. Because they come direct from our laboratory and packing is kept simple we can keep prices low so you can keep your bottom line down. The consumer is becoming more aware of using natural and organic ingredients in their products. We feel it is important for us to use products that are chemical free. In the long run using healthier formulas is better for the health of our customers and the earth. The latest information regarding skincare, beauty, wellness and how to manage a spa will also be posted to keep you up to date. Feel free to contact us with any questions regarding skin, body treatments, aesthetics training, and the esthetician career. We have a staff of technicians with over 15 years of experience in spa management and providing spa services. We want your business to be successful and want to hear about what information you need. Our experience in how spas work will help you learn different ideas on how to manage a spa more efficiently. We will be offering a series of guides and about esthetics training, how to do a facial, how to manage a spa and more about the esthetician career.Contact us with any questions at 972.372.0203 or fill out our contact us page form.